With two doors for easy access and great ventilation the Laser Competition 2 Tent from Terra Nova is a really lightweight tent which allows you to access remote areas with the minimum of weight and fuss. Perfect for one/two people seeking a streamlined, minimalist and reliable shelter with exceptional weatherproof materials. 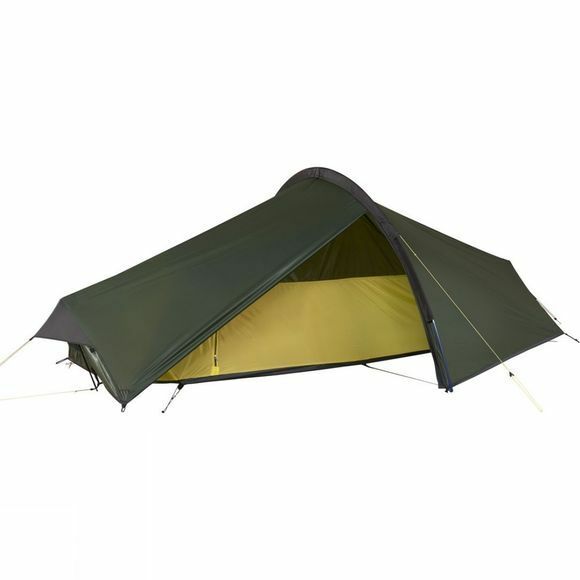 With a single main pole combined with two smaller poles at the ends and the fly sheet and inner able to be pitched as one, you can have your home from home built in 5 minutes, it utilises well pitched guy lines to secure the tent against the weather elements so that you can dive in to your shelter. Thanks to the small poles at each end of the tent you get a little more room than previous models as well as more effective ventilation, there is enough space inside for you and your kit but you might want to leave your muddy boots in the porch in order to help keep things as clean and tidy as possible. It packs down small and is lightweight so as not to take up too much space or effort to carry, it comes with ten super lightweight 6g alloy pegs for anchoring and the DAC Featherlite poles are lightweight, easy to assemble and strong. 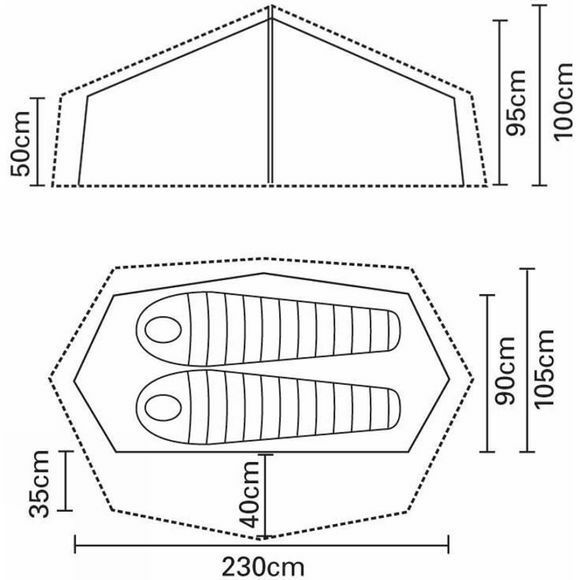 Note: Due to the super light nature of the materials used in construction, Terra Nova are unable to factory seal the seams of this tent in a conventional method. However, they are positioned and sewn in a way that minimises penetration and it is possible to add further protection yourself with seam sealer (sold separately) to fully waterproof the tent should you feel the need. Instead Terra Nova supply a black pole cover which is tied on and covers the seam, adds stability to the pole and protects the zip too in order that you get the most from your tent.